I love Spring, and I love Easter, and I love all the pastels that come with this time of year, however, I don’t necessarily love to go all out in my house with pale pink, baby blue, and soft yellow. This year, we’re going a bit more modern. And a bit more minimal. And just a bit more glam vs. cutesy around here for Easter. Today, I’m sharing a project that really couldn’t be easier. 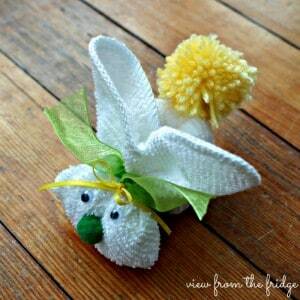 It requires paper, tape, scissors, and yarn (or twine or ribbon) … and 5 minutes! Oh, and maybe a hole punch if you happen to have one. 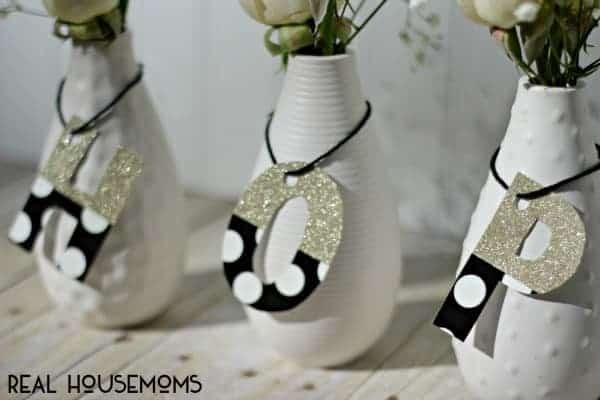 Inspired by her sparkly gold and black and white polka dot products, I came up with a simple and modern Easter decor idea. 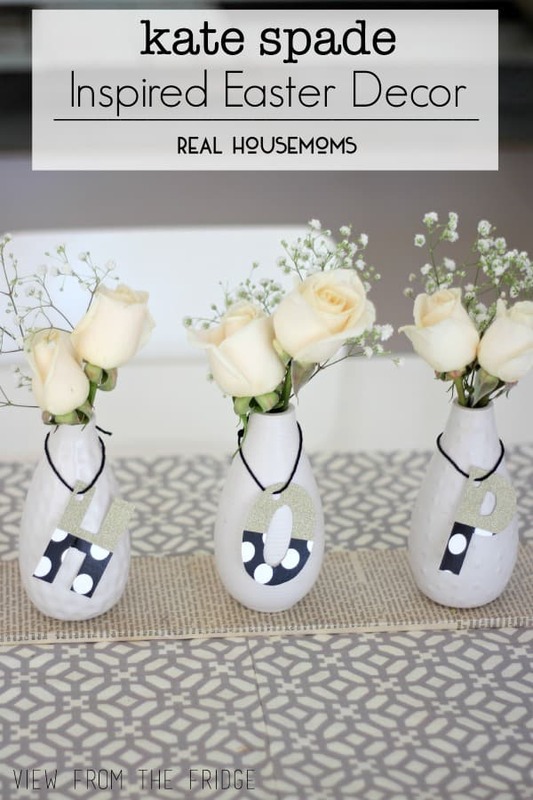 A quick way to ‘fancy-up’ those white vases for Easter … in a chic and glam way. Black and gold for Easter … why not?!? Thicker paper, or card stock. Washi Tape (or decorative duct tape) … we used some sparkly gold tape and some black and white polka dot tape from Michael’s. Simply lay down your decorative tape onto the paper. I adhered thick enough strips of each pattern to be enough to cover the top half of the letters in the gold, and the bottom half in black/white polka dots. Flip the paper over and trace your letters (or freehand draw them on). 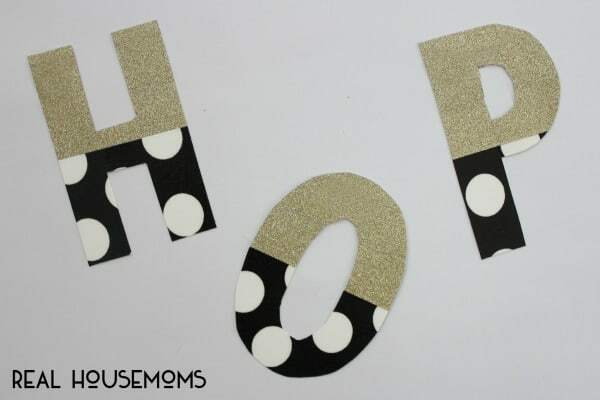 Make sure to mirror your letters so that they will be facing the correct way on the front (and if you’re doing ‘HOP’, this only matters for the ‘P’). 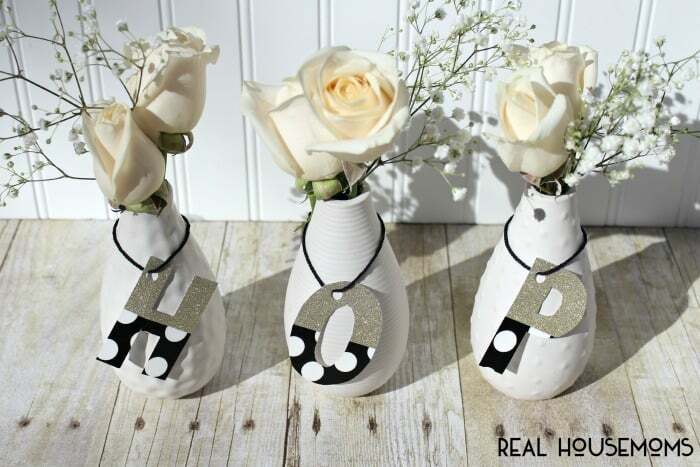 Tie the letters around your favorite simple vases and add flowers! Just a bit glam ..
And totally fun and festive for Easter! How about you … do you decorate for Spring and Easter? Do you go all out in the traditional pastels? And how about Kate (see that … we’re on a first name basis here) … do you love her stuff, too? Enough to justify spending $300 on a diaper bag? Enough to spend $16 on some absolutely adorable erasers? (yes, pencil erasers). Thanks, Kelsey!! 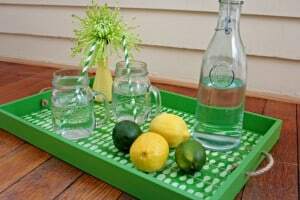 It is seriously a quick and easy project! !